Didn’t Dan die at the end of Roseanne? Recently, Roseanne Barr discussed the return of John Goodman and what fans can expect from ABC’s upcoming reboot, Slash Film reports. 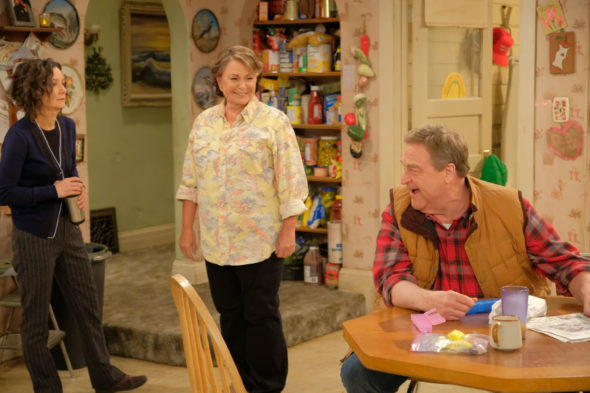 The sitcom revival will feature the return of original cast members John Goodman, Laurie Metcalf, Sara Gilbert, Michael Fishman, Johnny Galecki and, of course, Roseanne Barr. The new season of Roseanne premieres on ABC on March 27th. What do you think? Are you a fan of Roseanne? Will you watch the reboot? I voted “maybe” because it would have to depend on how I’m feeling at the time. I watched the new season mostly out of nostalgia. I’ll most likely watch the first episode out of curiosity to see how they explain Roseanne’s absence.